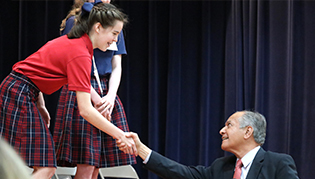 Welcome to Admissions at Incarnate Word Academy! 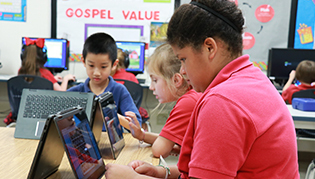 We are excited to share our story with you and would be honored to assist you in determining whether Incarnate Word Academy is the best school for your family. 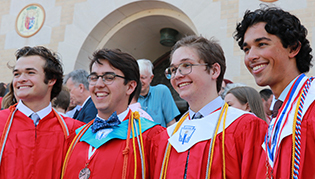 There are five steps for admittance to Incarnate Word Academy. For most families, the admissions process begins through an introduction to our school. You may have heard about us from friends, family, fellow church members, or perhaps you located us online or simply drove by our campus. We invite you to complete a Request More Information form and a school representative will contact you to discuss your child's academic needs and/or schedule your own individual tour to learn more about our school community. At any point during your decision process, you may begin the online application by Creating an Online Account. Complete and submit the application along with any required supplemental documents if necessary. Your admissions file is open once we receive your completed application and the $25 non-refundable application fee. You have the flexibility to Log In to your account and access your open application as needed. Please notify the school if you would like to withdraw your application. If your child is accepted, the school representative will send an acceptance email along with an invitation to begin enrollment. The acceptance email you receive in Step 3 will contain instructions to create a ParentsWeb account. ParentsWeb is the IWA online family portal which assists in facilitating communications between school and home. The enrollment process is completed online through ParentsWeb. Enrollment fees will be due at this time. If you have not already done so, please consider making an appointment to visit our campus. We look forward to the opportunity to give you a tour of the school level that your child is interested in attending. We appreciate your interest, and hope to assist you any way.